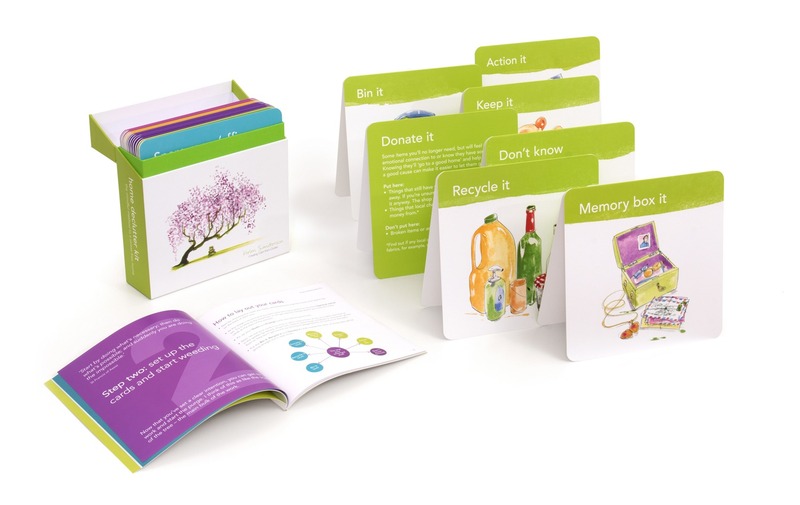 The Home Declutter Kit offers a simple, easy way to detox your living space and clear clutter from your life – fast! If you’re into healthy living you’ll be familiar with the idea of detoxing or purging the body. This a handy tool will help you do the same on the home front. Because now’s the time to make room for the future you deserve. You’ll be amazed at the changes that happen when you declutter your home. A new energy will emerge from beneath the clutter. Most people feel a surge of power and very often significant things start to shift. As you get rid of the old and make room for the new, you may find family relationships improve, and new possibilities open up at work and in other areas of your life. 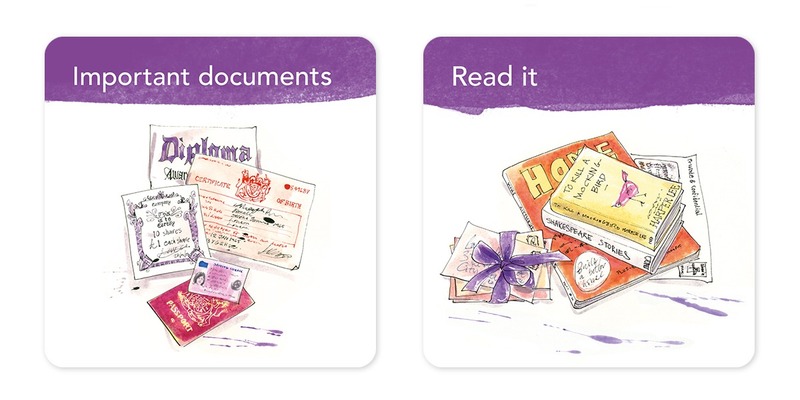 Home Declutter Kit 59 secs from Helen Sanderson on Vimeo. 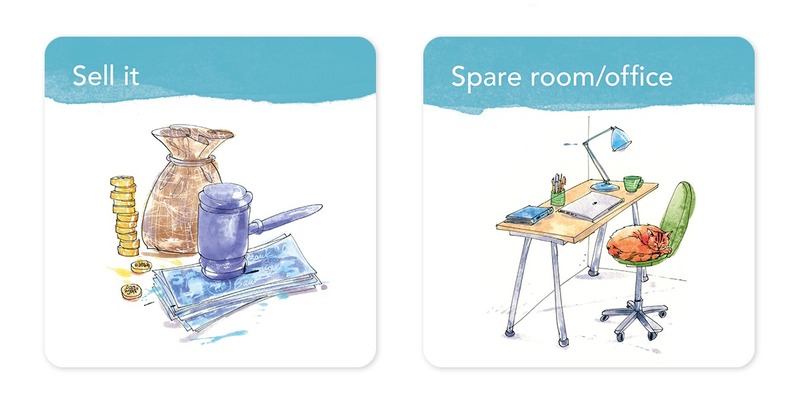 In the Home Declutter Kit, you’ll get over 30 beautifully-illustrated action cards and a book that clearly explains a simple six-step process. This tool takes you through a clear, easy-to-follow method for doing a declutter or tidy up. Big or small, alone or with a friend. However you choose to use it, you’ll have my support on tap whenever you need. Helping you to let things go and make room for more calm and order in your home. 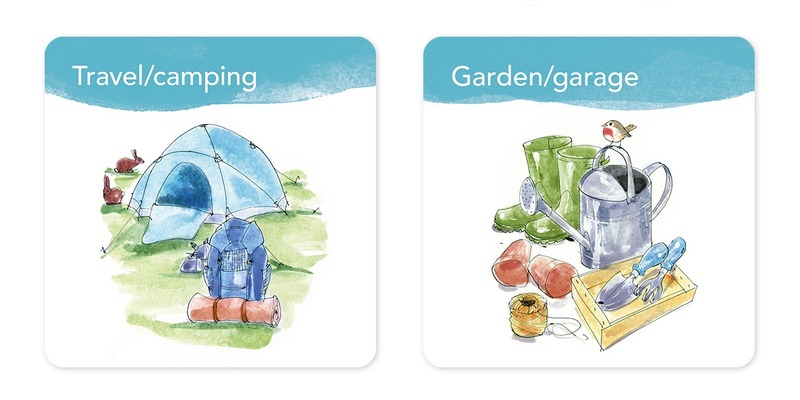 In the easy-to-follow guide, you’ll learn how to set up the cards and quickly get into action, sorting your clutter and creating order. And there are plenty of practical expert tips to help you keep focused. Plus you’ll get access to further support online. Download your free sample of the guide right now. A simple and helpful manual, guides you through my tried and tested method. It’s helped 100s of people and will work for you. They are inspiring and easy to recognise. Make decluttering a joy, not a chore. 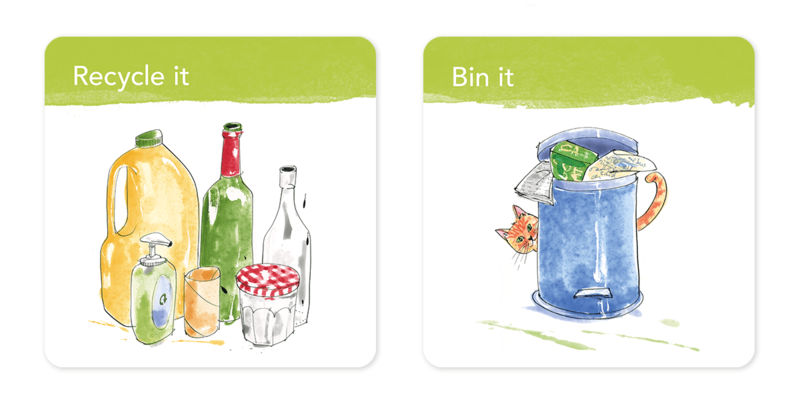 Each card has its own extra hints and handy ‘do’s’ and ‘don’ts’. 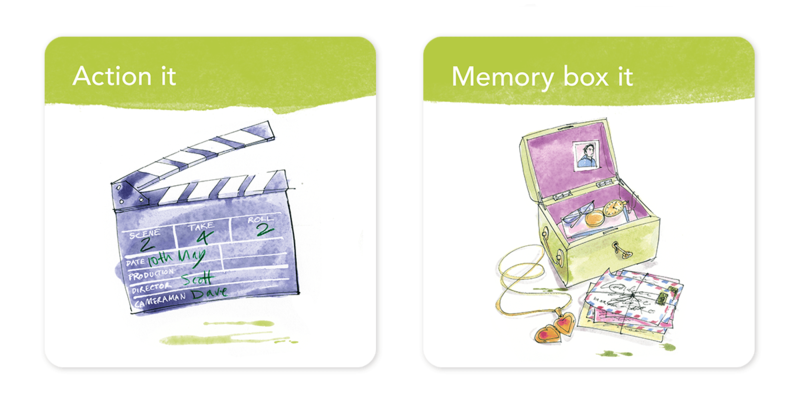 Over a decade’s worth of decluttering expertise condensed into one handy box. Bonus card sets – four kits in one! 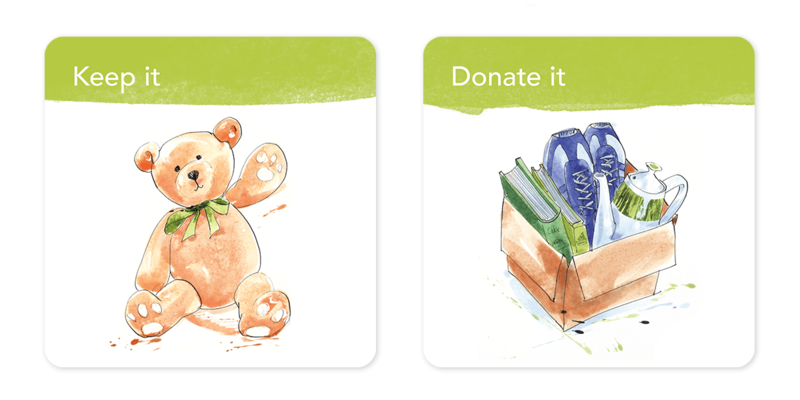 Extra cards also help you to declutter your wardrobe, sort through paperwork and honour precious memories. Because decluttering is about mindfully deciding what you want in your life, not just throwing things away. Why are the cards folded? This helps them stand out among your clutter also meaning they won’t accidentally get lost. 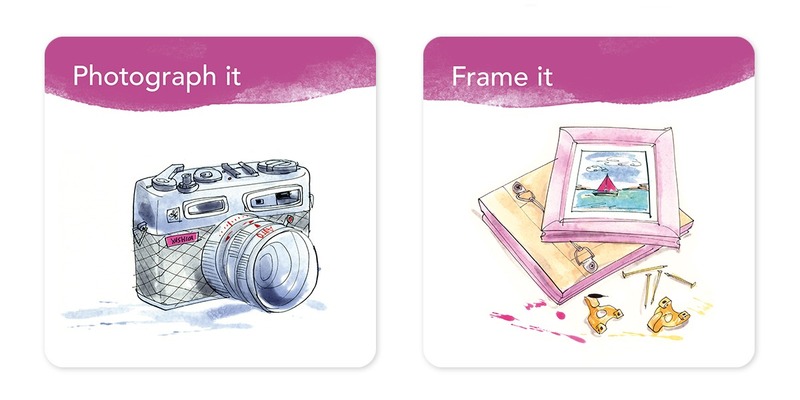 It also allows you to hang them on the back of a chair, side of a bin or container. If decluttering is so simple, why do I need the kit? Decluttering can be simple, but it isn’t easy. Once you start you can easily get distracted and lose focus. Having a clear method to stick to helps you stay on track. I’ve developed my process through hundreds of decluttering sessions with people in all sorts of situations. So you get the benefit of all that experience. Most people say they find the Kit really inspires them to get started and keep going. Won’t the cards get damaged during my declutter? 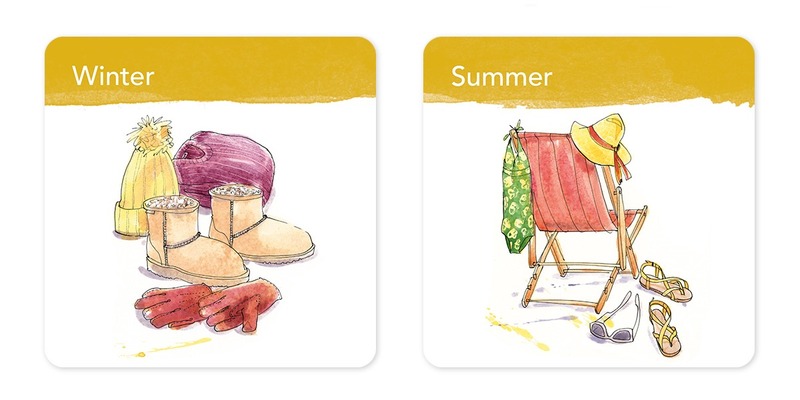 The cards are made to a high quality and are very robust. We even included a special wipe-clean finish to make them even stronger and easy to clean if they get grubby. Won’t it just end up as another piece of clutter? At the end of the day, of course, it’s down to you to do the work. I’m selling a tried and tested solution, not a magic wand! However, you’ll find much easier with the support of the kit than working alone. 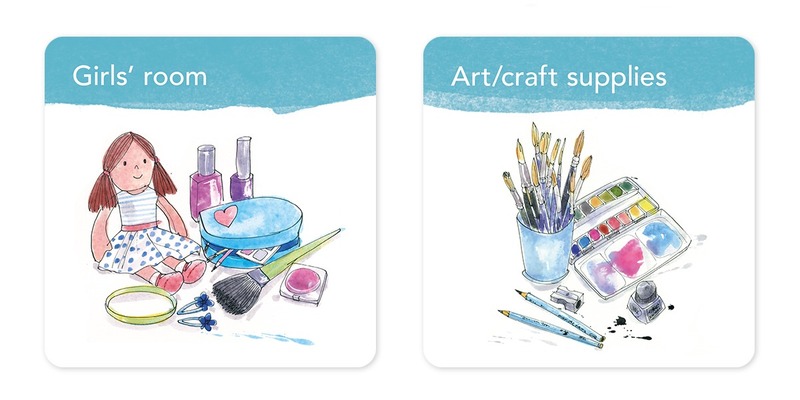 The kit retails for less than most personal organisers will charge for just one hour of their time. You can use the Kit again and again. According a recent survey the typical household is filled with £3,540 worth of unused clutter. So you could make back way more than you spend. Questions about the Home Declutter Kit? Click here to send me an email and I'll get back to you with an answer as soon as I can.